Concept design of the ocean cleanup system designed by Boyan Slat's The Ocean Cleanup organization. According to scientists, there are about 5 trillion pieces of oceanic waste and anyone who claims to scoop up all this plastic would have to come up with an ingenious plan of doing so. Meet Boyan Slat, a Dutch entrepreneur, who came up with this concept while studying aerospace engineering at Delft University. 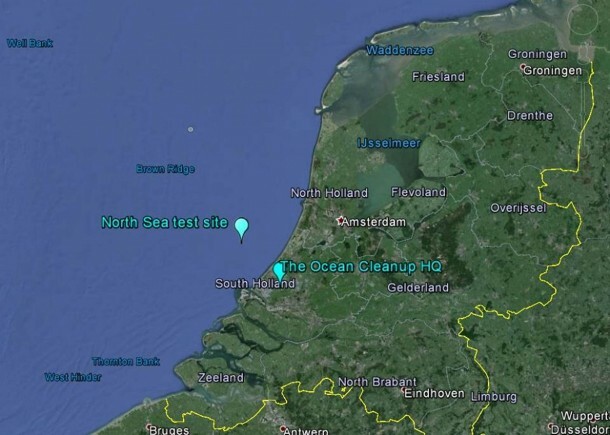 This led to the Ocean Cleanup project that has announced that it is ready for the challenge and will be carrying out the first real-world test of its rubbish collection barriers off the coast of the Netherlands. The plan is to make use of the ocean’s natural gyres (rotating currents) do the work instead of going after the rubbish. The system relies on a natural system of circular ocean current to have the plastic waste pushed into long floating arms and from there to a central collection point. Hence, the system is highly energy efficient. According to him, this approach cuts down the time required to clean up the oceans from millennia to only a few years. A positive feasibility study along with $2.1 million crowdfunding phase has imparted more motivation to him and he is putting his plan into action. 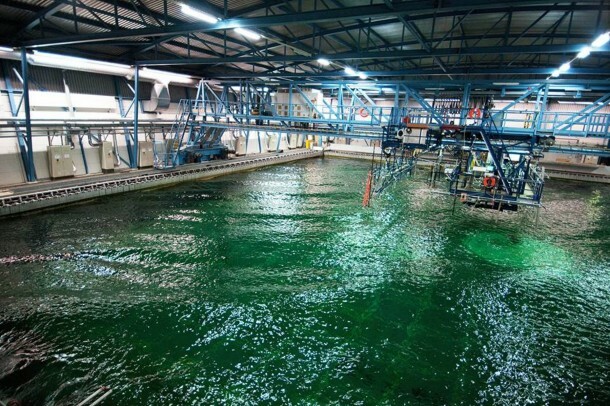 The first open water test of the floating barriers is slated to take place during the second quarter of 2016 in the North Sea, 23 km off the coast of the Netherlands. The 100 meter long installation makes use of computer modelling and scale model testing that was carried out in controlled environments. The team says it is time to put the device into action. The team will be mainly focusing on the effects of waves and currents by making use of sensors and cameras to keep a check on the loads on the system and the motion of the barrier. The team is hopeful that the North Sea test would help the team better plan and improve the bigger pilot project that is slated for Korea Strait and has been rescheduled to second half of 2016 in order to make the results from North Sea test beneficial. The next pilot will feature a barrier with a length of 2,000 meters off the Coast of Tsushima Island located between South Korea and Japan where plastic pollution is turning into a huge problem. 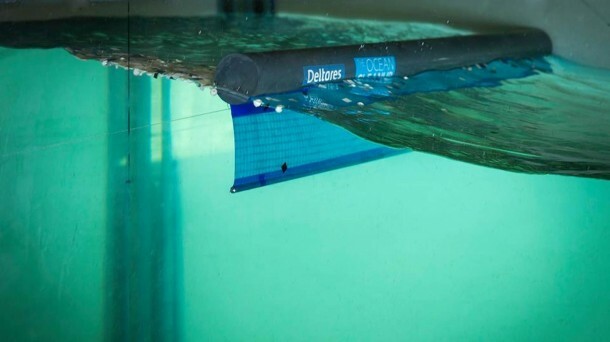 These tests and pilot projects are meant to help the Ocean Cleanup’s progress towards its final goal; deploying a large-scale system in the Great Pacific Garbage Patch in 2020. Make sure to post the results of the North Sea pilot!